Ford Motor Credit, the automaker's finance arm, reported a second-quarter increase in leasing. 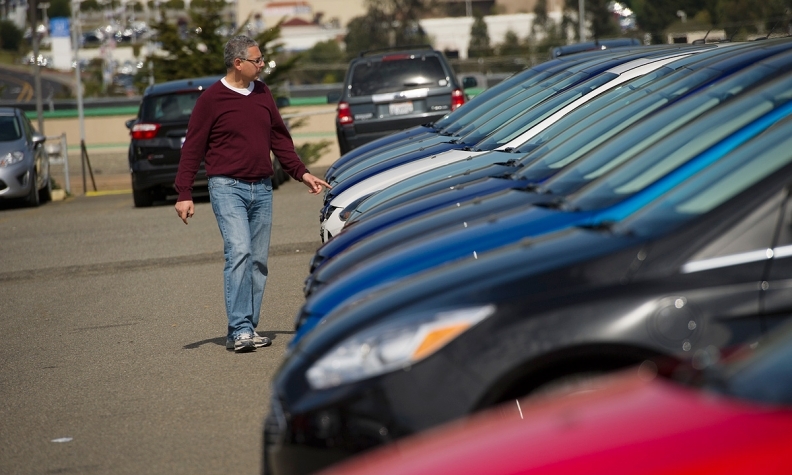 Leasing's share of U.S. new-vehicle sales has been at least 22.5 percent in every month this year, J.D. Power and Associates says. GM Financial and Ford Motor Credit Co. hiked leasing in the second quarter as part of an industrywide increase in leasing. "Our leasing volume in the quarter -- and for that matter, the first half of 2013 -- has been very robust," GM Financial CEO Dan Berce said during a conference call last week following release of the company's second-quarter earnings. "That was driven, again, by GM's strategy of targeting a higher lease penetration, as well as increased awareness and acceptance within the GM dealer network of GM Financial's lease offering," he said. GM Financial is General Motors' captive finance unit. GM reported its U.S. lease penetration in the second quarter was 20 percent, up from 15.4 percent a year ago. That includes other lenders besides GM Financial. GM also offers leases via Ally Financial Inc. and U.S. Bank. Ally reported today, July 31, that its lease originations for all brands were about $2.8 billion in the second quarter, an increase of about 33 percent. According to GM data, the U.S. industry average -- excluding GM -- for lease penetration rose to 24.3 percent in the latest quarter from 21.8 percent a year earlier. GM CFO Daniel Amman said GM is counting on lender relationships and improved residual values in its "drive toward industry-competitive levels" in leasing. GM Financial's U.S. lease originations were $657 million in the second quarter, more than double the year-earlier level. In the first half, its U.S. lease originations were about $1.2 billion, up from $510 million a year earlier, the company said. GM Financial launched leasing nationwide almost two years ago, following a state-by-state rollout. GM bought GM Financial, the former AmeriCredit, in 2010. AmeriCredit was a subprime loan specialist and didn't offer leasing at the time GM bought it. Meanwhile, Ford Motor Credit Co. also reported a second-quarter increase in leasing. Ford Credit, the lending arm of Ford Motor Co., doesn't break out its lease originations in its quarterly results, but it does report a number for "worldwide net investment in operating leases." That number grew to $17.6 billion in the second quarter, up 36 percent from a year earlier. The number includes outstanding consumer leases and outstanding leases to fleet customers, a spokeswoman said. In 2012, Ford Credit's U.S. lease penetration was also below the industry average, at about 15 percent of retail sales.